What’s Stress Got to Do With It? The weekly Old-Time Jam Sessions provide an opportunity for local and visiting musicians to play together. Open jam sessions take place every Thursday evening from 7:30 pm to 11:00 pm (with the exception of Thanksgiving and Christmas weeks). 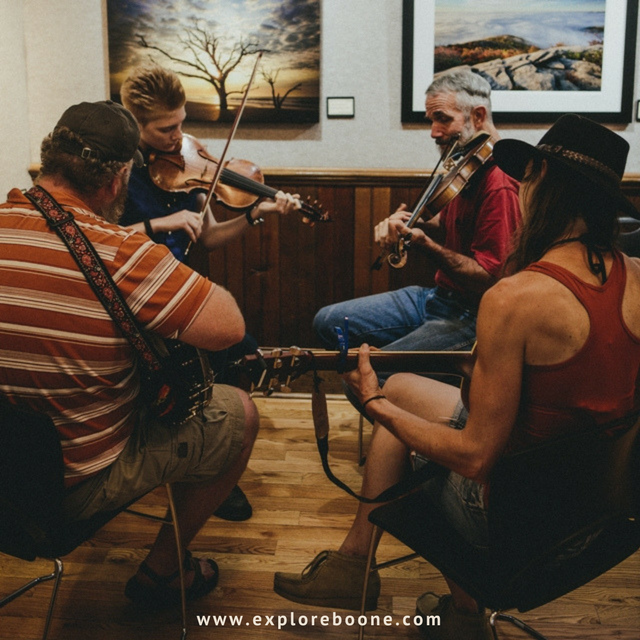 Visitors are welcome to bring their instruments and play along or to just sit and enjoy the music. COPYRIGHT © Foothills Digest. All rights reserved. Site photography © Eckard Photographic by Jon Eckard.